Mamma's best memories growing up of holidays always end up being at a caravan park. There's something really special about the freedom of running around with no shoes on, the smell of BBQ in the air and sun kissed skin. We'd always meet new best friends every time and play from first light of dawn till sundown. Wye River Big 4 feels just like this, surrounded by the hillside and bushland on one side and beach on the other. Wye River runs through the middle and is great for splashing in and having adventures. The park has the usual Big 4 jumping pillow and playground, plus a games room, fire pit hire and bike hire. Accommodation consists of cabins, campsites and a beach house, plus some permanent cabins. On school holidays there are kids clubs and movie nights, and keep your eyes peeled for koalas and the pet goats! 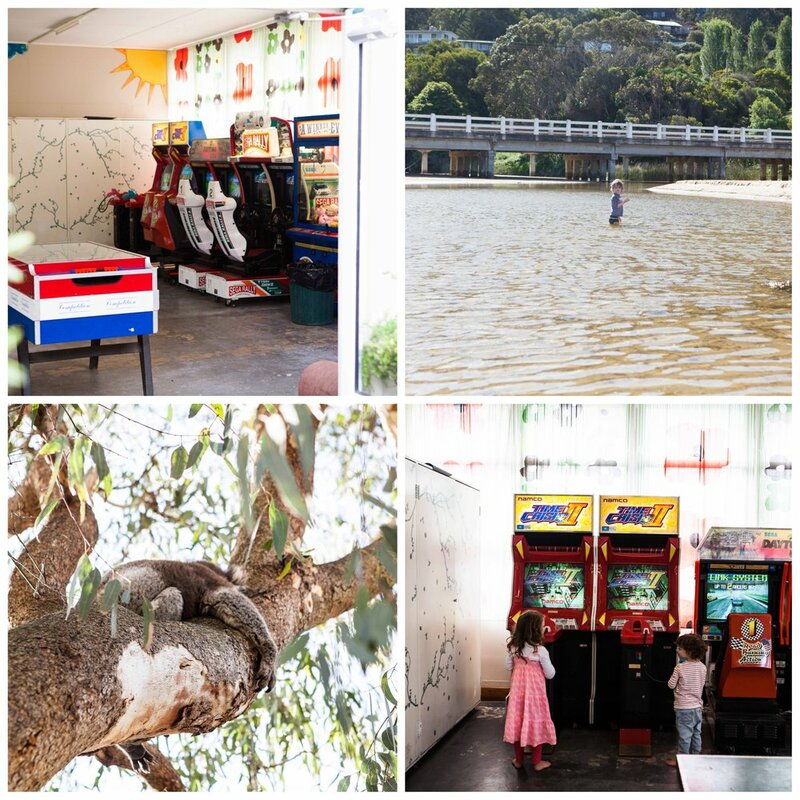 Mamma's special mention: If you've had enough of snags on the BBQ head to the General Store for a great feed (and a play on the playground) or up the hill is the magnificent Wye River Beach Hotel. Bliss!